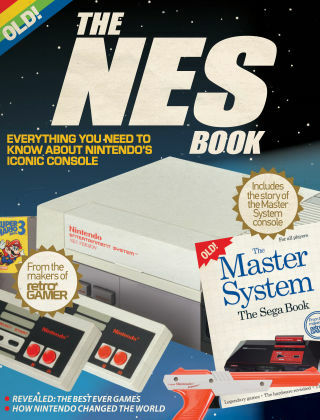 With Readly you can read The NES/Master System Book and thousands of other magazines on your tablet and smartphone. Get access to all with just one subscription. New releases and back issues – all included. Celebrate two of gaming's greatest 8-bit consoles with this fantastic bookazine. It features some of the best games to ever appear on both systems, including exclusive never-before-seen content on the likes of Sonic The Hedgehog, Metroid and Castle Of Illusion. It's an essential guide to anyone who loved either system back in the day. Featuring: The History Of Sonic The Hedgehog - Many gamers don't realise that Sonic's 8-bit adventures were completely different to his Mega Drive ones. Exclusive Retro Revivals - Our new bookazine features cool nostalgic look backs at Donkey Kong, Metroid and Operation Wolf Ultimate Guide: Castle Of Illusion Starring Mickey Mouse - Discover everything you need to know about this incredible Master System platformer Collector's Guides - Want to collect for the Master System and NES? Out awesome articles will show you how to start.